Auditing laceration repair is generally an adventure. Most of my auditing work is reviewing the work of our coders rather than providers, but I have audited physicians as well. My present position has limited communication with providers, however we do attempt to get important information back to our clients for training purposes. After all, the primary goal of auditing is training; training the coder how to understand the codes and how to use them; it is also to guide the understanding of the provider to the nuances of coding rules. Providers do not always understand coding guidelines, their area of expertise is the practice of medicine. Coders' area of expertise is understanding codes. I recently audited a note with a stellate laceration of the left forearm. The physician said it was stellate but measured the gross dimensions, 10cm X 6cm. On a stellate laceration all lengths of the star points are added together. Lacerations need to be measured in lengths of skin repaired. This particular case had 2 additional lacerations on the forearm, both "about 1.5cm each." The coder added them all together even though the 3cm repairs were simple repairs and the stellate one was at least intermediate. Care needs to be taken in reading the note to determine location of the laceration. In simple repair, the body is broken into 2 billing areas. Intermediate repair is broken into 3 billing areas. For intermediate, neck, hands and feet, and external genitalia are broken out to a different category of codes. For complex repair, the billing areas are expanded into 4 billing areas. Simple repair can use various types of closure, sutures, staples, or tissue adhesives. Adhesive steri-strips or other bandages are not payable as laceration repair. When a laceration wound has heavy debris/contamination, the provider is allowed to jump a level from simple repair to intermediate repair. Intermediate repair requires layered closure [with the heavy debris/contamination exception]. Simple repair is closure of one layer of skin involving primarily epidermis or dermis, or subcutaneous tissues without significant involvement of deeper structures. Intermediate repair is repairing more than epidermal and dermal, deeper layers of subcutaneous tissue, specifically fascia; it is repair of subcutaneous structures as well. If repair includes muscle debridement and repair you would move to complex repair. Complex repair does not include debridement of open fractures and would be coded with 11010- 11012. Complex repair involves more than just layered closure. These situations would involve traumatic lacerations or avulsions where there can be debridement. 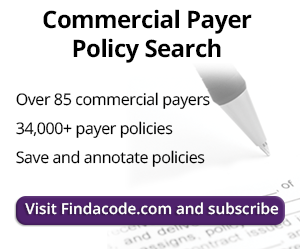 When reviewing the billing and coding patterns of providers, one quickly sees if there are problems. I once reviewed coding and billing on a provider that chose intermediate repair for every laceration done the previous year, even those closed with 2 steri- strips. The coder and auditor should always stick to the coding guidelines listed in the CPT® book, as you cannot go wrong with following the CPT book.